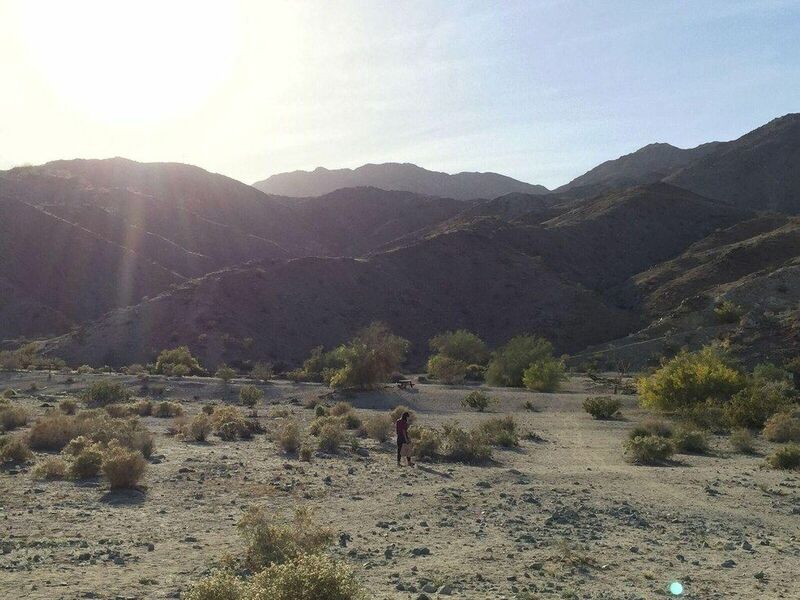 Throughout its forty-five miles of vast desert terrain, the Coachella Valley houses a diverse plant, animal, and human population that has called this dry ecosystem home for decades. But come mid-April, this usually quiet surrounding is transformed by the Coachella Music and Arts Festival into a playground for young adults worldwide. Since its start in 1999, Coachella has become synonymous with the rapidly commercializing music festival, substituting its immense community and rich history for flower crowns and recreational drug use. Enter Desert X, the new free art installation project determined to bring substance back to the historical landmark. While nonprofit Desert Biennial introduced the concept in 2015, the project didn't come to fruition until its opening this past February with sixteen contemporary art installations from the likes of Will Boone, Claudia Comte, Doug Aitken, Gabriel Kuri, and more. Running until the end of April, this site-specific exhibition serves as a type of love letter to Coachella Valley's landscape, whose ethos encourages visitors to experience the environment's natural beauty through contemporary art installation pieces conveying themes of climate change, politics, immigration, and more. Susan Davis, founder of Desert Biennial, approached Neville Wakefield and Elizabeta Betinski to serve as heads of the project, Wakefield as Artistic Director and Betinski as Executive Director. While the two hold impressive resumes within the art world, with Betinski working on Los Angeles's acclaimed Venice art biennial and Wakefield curating events across the globe including London's Frieze Projects, a project this size was on a whole new scale. "It was obvious that we both were really excited by the same thing, that there was no blueprint on how to do this," Betinski says of the project. "There's excitement and freedom in that, also a lot of uncertainty and obstacles, but creatively it was exciting to try and basically do something that hasn't been done before." The obstacles lay in both the unpredictability of the desert and recruiting artists who could bring these large scale installations to life, a tall feat for the project's small team. After inviting thirty contemporary artists to the exhibition site, sixteen were chosen to be a part of the project and from there, planning on where to site each installation was underway. "We wanted to allow the landscape's history to be generative, not to come there with a beat and illustrate it," Wakefield says. "I'm not interested in in this idea of public art, which I think is often misused as site-specific, where you just cut and paste objects against a background. I wanted the the art to immerse itself in the place and respond to it in ways that you probably couldn't imagine in order to give variety to the works." To achieve this level of site-specificity, the team traveled with each artist to carefully select the perfect location to build each installation, whether it was the Salton Sea or wide reaching dunes. "Our vision was that we wouldn't just plop things because it seemed convenient," Betinski says. "We invited artists to visit, and instead of just telling them, 'Oh this site is available,' we wanted them to really have an experience." Unlike their festival-going counterparts, whose descent onto the desert is more reminiscent of a plague of locusts, Wakefield, Betinski, and the rest of the team worked with the community in order to truly convey the rich culture so commonly ignored by visitors. "How do you create a show that engages the landscape, that isn't about bringing in these artists and painting the town red?" Wakefield reflects. "That's really the challenge, and I think that's the challenge in particular in an area which has become so heavily identified with a commercial music festival." While festival-goers travel to the desert in search of chaotic freedom, as soon as those two consecutive weekends come to a close, Coachella Valley is somewhat forgotten. This use of the desert as a place for personal debauchery led Wakefield to develop Desert X as an installation project that would force discussion from visitors, whether it was about the the desert itself or wider-reaching issues. "I think the blank canvas thing is a misnomer, but I do think that's what tends to happen with these festivals," Wakefield says. "How do thousands of people descend and then leave? By creating this space of recreation and then leaving they don't really add to the dialogue at all other than their own; that was something we were trying to avoid." A huge aspect of festival attendance is to share the experience via social media, but these art installations are meant to encourage physical interaction with visitors and their environment, and how each visitor shares this intersection is completely up to them. 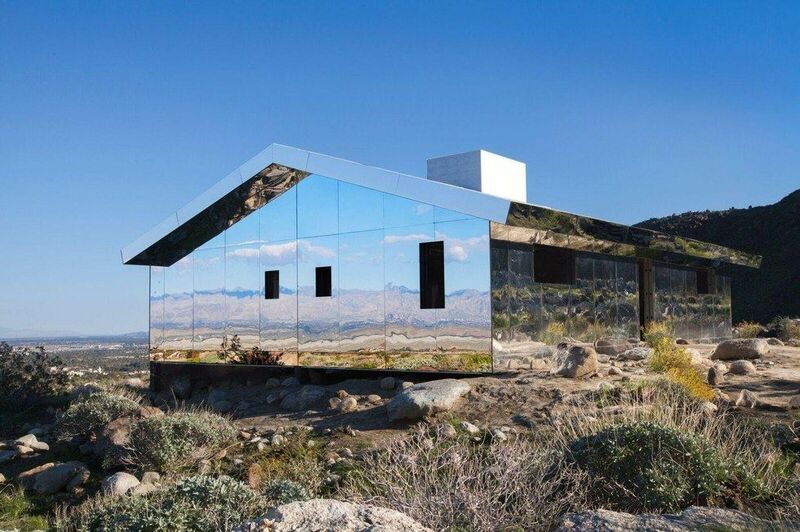 Contributing artist Doug Aitken, whose piece "Mirage" practically guarantees the perfect mirror selfie, pegs Desert X as the perfect opportunity to bring his larger than life idea to fruition. "For this work the location is very important," Aitken says of the installation. "I've been working on it for a few years on different sites but it really needed to have a hillside that looks into an urban sprawl. Neville and I looked at different locations trying to create something that was very site-specific and that helped build it to where it is now." Since opening in February, visitors have applauded Desert X's mission in providing Coachella Valley with art pieces that encourage debate and discussion. Despite the positive response, Wakefield is the first to point out the criticism, the primary one being the small number of women among the sixteen artists. Betinski, however, states that rather than focusing on numbers, it's important to note the deeper problem that lies within institutional art funding. Women artists often receive the the least from donors and larger foundations, making committing to large exhibitions such as Desert X a near impossibility. As Desert X comes to a close this month, this temporary art installation project serves as a ballad to the ignored aspects of Coachella Valley, thanking it for its service and admiring its quiet strength. "There's so much more to that area that's important, especially with what we're dealing with right now like climate change, water, land rights, and all that," Betinski says. "Hopefully these pieces open people's eyes to the complexities of where we are for those who are visiting." Desert X is open to the public until April 30th. Check the map for hours of operation and the location of each installation. Can't make it to LA? Peep the visuals below.